Most activities you undertake online are preserved for posterity somewhere. Communication within Facebook is no exception. In fact, finding your Facebook chat history is easy. While the social network doesn't offer an official history section where all your messages are stored, there is a pretty simple way to find the history logs for specific messages and search through them. You also can see your archived Facebook messages through a similar process, but those messages are hidden away in a different menu. If you need to look through spam messages, you must recover them from a different hidden area of your account. The history of all of your Facebook instant messages is stored within each thread or conversation, but the method for finding it is different depending on whether you're using a computer or mobile device. On Facebook, click or tap Messages at the top of the page, near your profile and Home link. Choose the thread for which you want the history. That specific thread will open at the bottom of Facebook, where you can scroll up and down through the past messages. You can see what you've communicated here. For more options, click or tap the small gear icon next to the Exit button on that conversation so that you can add other friends to the conversation, delete the whole conversation, or block the user. You can also choose See All in Messenger seen at the bottom of the menu that opens in Step 1. This will make all the conversations fill the Facebook page and give you the option to search through the old Facebook messages. The See All in Messenger screen, accessible here, is identical to the view in Messenger.com. You can avoid going through Facebook.com and instead jump right into Messenger.com to do the exact same thing. Open the conversation you want to find a word in. Choose Search in Conversation from the right side. Type something into the search bar that shows up at the top of the conversation, and then press Enter on your keyboard or click/tap Search on the screen. Use the up and down arrows on the top left corner of the conversation to find each instance of the word. If you think that someone you're not Facebook friends with sent you a private message, it won't show up in the regular conversation view. Instead, it's only accessible from the Message Requests screen. Click or tap the Messages icon at the top of Facebook to open the drop-down menu of conversations. Choose Message Requests at the top of that screen, right next to Recent (which is selected by default). Another way to get to hidden Facebook messages from non-friends or spam accounts is to open the page directly, which you can do on Facebook or Messenger. If you're on your phone or tablet, the process for looking through your Facebook chat history is fairly similar but requires the Messenger app. Enter some text to look for. Messenger will search across your contacts for the term. Tap Search in messages to look for the term in your message history. Select the conversation you want to look through. From there, pick which instance of the word you want to read more context for. Messenger will open to that location in the message. If it's not exactly on point and you don't see the word you searched for, scroll up or down a little to find it. Open the Your Facebook Information page through the small arrow at the far right side of the top Facebook menu (click Settings from the drop-down menu). Next to Download Your Information, click View. On that page, select Deselect All above all the check-marked items. Scroll down to the Messages line and put a check in that box. You can optionally keep everything selected to download all of that information. Scroll to the top and click the Create File button. Wait while the gathering process finishes and for Facebook to email you. They'll also send you a Facebook notification. Open the link they sent you or click the notification, and then click the Download button from the Available Files tab on the Download Your Information screen. You'll probably have to enter your Facebook password again for security reasons. 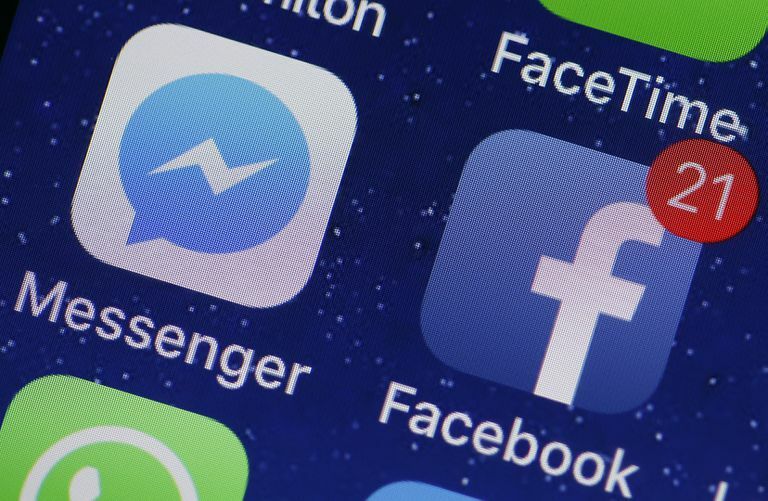 Your entire message history from Facebook and Messenger will download as a ZIP file. If you requested everything instead of just messages, the whole process will probably take quite a while to finish because it actually gives you tons of your information on your past Facebook activities, including not just chat conversations but also all your shared posts, photos, and videos.